Surgeons that offer plastic, reconstructive, and cosmetic procedures are engaged in a constant struggle to gain and maintain their desired share of market territory. Patients seeking elective care are much savvier today than in year’s past and make their decisions based on convenience, affordability, and the long term benefits they gain. This selective behavior among patients has increased market competitiveness. It is important that plastic surgeons arm themselves with a number of functional marketing strategies to maintain market share and compete for new patients. Word of mouth advertising has proven to be the most effective form of marketing available. What better way for plastic surgeons to take advantage of this principle than to seek referrals through past satisfied customers. This can be accomplished by providing previous customers with a constant supply of new information regarding your practice that can be shared with family and friends. 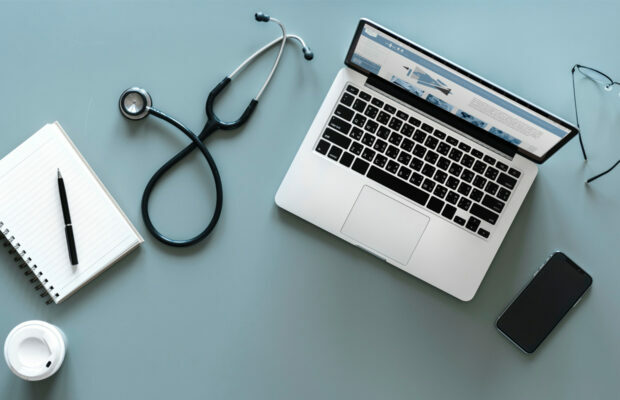 Newsletters, social media, and text messages are all great ways to remain connected with patients and assure they are familiar with your latest achievements and offerings. If done properly, your past patients will always have something interesting to pass on about your practice. The ideal customers for your practice are those who have attained the levels of maturity and affluence necessary to invest the money and time in the services they desire. Facebook is an excellent platform to target these high-value clients. Facebook allows you to target your marketing dollars based on demographics, annual income, shopping behavior, relationship status, and many more options that can be leveraged by your practice. Google ads will also allow you to target potential customers based on many of these parameters. One way to combat the possibility of potential customers developing cold feet is to allow them to see exactly how they will look once a procedure is completed. This will eliminate any bad feelings that are a result of the wrong expectations. Technology like PhotoShop by Adobe will allow you to take a photo of a potential client and alter the body part in question on a screen right before their eyes. The chance to visually see the results of the procedure before it happens will allow them to put any misgivings they may have to rest. When a potential patient is made aware of your practice they will almost always search for your website. Your website should be visually pleasing and well-organized. Your website should prominently display before and after photos of past patients, testimonials from satisfied patients, and all awards and certifications earned by you and your practice. It is important for your practice to appear on the first page of search results whenever a potential customer searches for information regarding a procedure in your local area. And the higher you rank on the first page, the better it is for your practice. You should identify the keywords which most suggest an interested party is serious about having a procedure done and use local SEO tactics to improve your rankings for these keywords. Soliciting online reviews, social media engagement, and link building are all among the many ways your practice can improve organic search results. You will benefit your practice greatly by generating organic search results through the local SEO tactics mentioned in the above section. However, there are times when you will need customers to discover your practice a little faster than they will through organic search results. Google’s Pay Per Click advertising model is the perfect plastic surgery marketing strategy to remedy this problem. PPC allows you to place bids on relevant search terms and guarantees your ad will be seen by potential customers. The budget you will need and the placement of your ad will be relative to the competition for your desired keywords. Most candidates for plastic surgery will not come to a final decision as a result of one visit to your website. Because of this, you run the risk of the potential customer forgetting about your practice once they have considered all options and are ready to move forward with the desired procedure. You can assure you are on the minds of these potential customers as they perform their due diligence on a procedure through the process of remarketing. Remarketing allows a pixel or cookies to be stored on the browser of visitors to your website. You will then be allowed to display ads to them when they are online and use the same browser with which they accessed your web site. The ability to do this lasts for a predetermined amount of time. Reviews are critical to the decision-making process of potential patients. You should look to gather as many reviews as possible. You should also perform work at such a quality you can be sure the majority of reviews you receive are positive. The occasional bad review is inevitable, however, and you must handle the situation correctly when a review that can be harmful to your practice is received. A system for online reputation management will provide you with the tools to efficiently collect all your reviews, respond to the reviews that call for a response, and direct reviews to applicable review sites. Listening in to social media conversations will provide you with genuine opinions from patients and alert you to areas of your practice that can use improvement. This intel can also be used to create better ad campaigns and monitor public perception of staff behavior and the culture of your company. A social analytics tool like Netbase is perfect for this task. Video has become the most popular form of online content. It is predicted that by 2021 more than 80 percent of online content will be in video format. A large number of these videos are distributed through YouTube and other social media platforms. This online environment requires videos to be an integral part of your social media marketing campaign. Explanatory videos, patient testimonials, and videos profiling staff members generally provide bang for their buck when you choose to spend marketing resources on creating videos. Today’s competitive market environment makes it necessary for plastic surgeons to take their marketing efforts extremely serious. The ten marketing strategies profiled above are a great place to start for plastic surgeons looking to better penetrate their market.